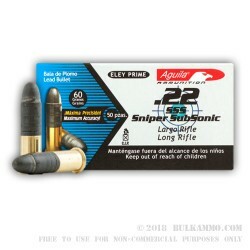 Aguila Sniper Subsonic ammunition features a 60-grain lead round nose projectile, the heaviest usable bullet for a .22 long rifle round. 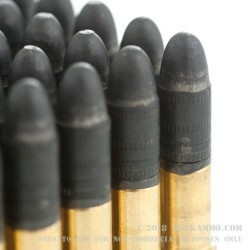 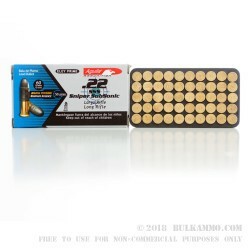 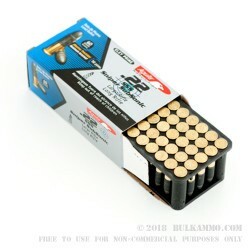 Because of the heavier bullet and faster barrel twist, these rounds offer equivalent accuracy to a traditional .22 for target shooting and for varmint hunting, but with far less noise. 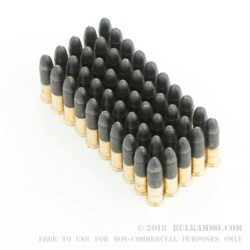 With a muzzle velocity of 950 FPS. 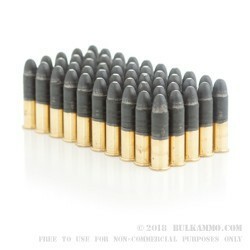 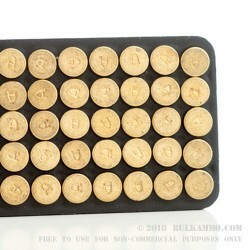 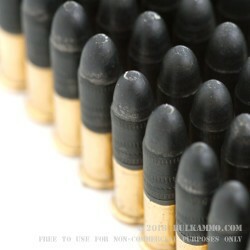 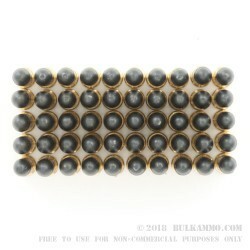 These subsonic rounds are primed with Eley primers for consistent ignition and are loaded into rimfire brass casings. 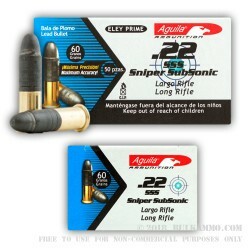 If paired with a suppressor, Aguila Sniper Subsonic .22 is nearly inaudible. 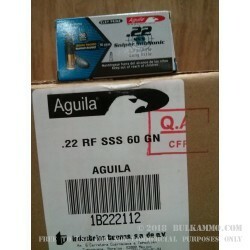 Aguila ammunition is manufactured by Technos Ammunition in Mexico and has been a renowned producer of rimfire and centerfire cartridges since 1961. 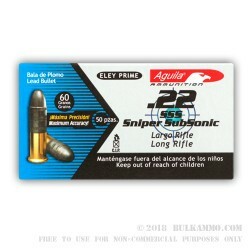 Originally a manufacturing plant for Remington, Aguila uses stringent quality control standards to produce consistent and reliable ammunition. 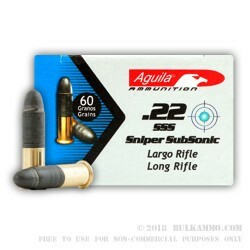 Each box of Aquila Sniper Subsonic .22 long rifle comes with 50 rounds. 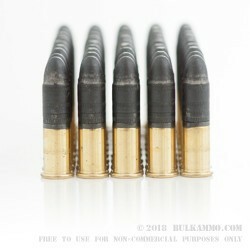 These rounds are recommended to be used in barrels longer than 20”.